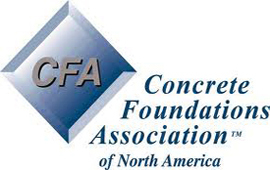 concretE PRODUCTS AND SERVICES we are the best in the business and have years of experience to guide you. Get Started! Strength: Stronger against later (backfill) pressure. Fast Construction: Average cycle time 2-3 days in all weather conditions. Price Competitive: Foundation wall is custom designed to fit your needs. Less Porous: Uses less waterproofing material. Less Cracking: No mortar joints to crack or leak. Cardinal Concrete offers an array of services that provide the builder with the expertise needed to provide a quality foundation in a timely and profitable manner. Our experts have over 30 years of experience in this industry and are the best in the business! InSoFast Concrete Wall Insulation High quality nsulationsystems that increase energy efficiency. Segmented Rock Retaining Wall Systems We utilize Versa-lok retaining wall systems. Cardinal Materials Placement Stone placement for basements, slabs, backfill applications and gravel driveways. Concrete Homes We provide design and application of safe rooms, wine cellars, gun vaults, storm shelters and more. Waterproofing Remediation Repair cracked or damaged concrete walls and leaky basements. Decades of experience give us an edge! Our team of experts have years of experience in this industry and can provide your company with the insight and resources necessary to ensuring the success of your projects. Customer satisfaction is our number one concern and we place a strong emphasis on quality of service, which enables you to streamline your process and have peace of mind that the job will be done right the first time.